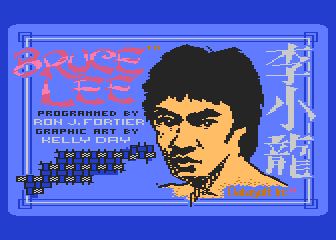 Because of the recent talkings about the new Bruce Lee game for C64 I decided to redone ours old loading screen. If no one is interested but just for me , can I ask a coder to kindly change the old one with this on the game's disk file? Edited by José Pereira, Tue Mar 12, 2019 11:26 AM. Edited by José Pereira, Tue Mar 12, 2019 11:28 AM. Edited by José Pereira, Tue Mar 12, 2019 11:27 AM. Edited by José Pereira, Tue Mar 12, 2019 11:55 AM. And the coder to replace the old with this one, is it in here? Edited by José Pereira, Wed Mar 13, 2019 11:12 AM. Perfect Job for Wrathchild or Tebe. Tezz also... And what about you? 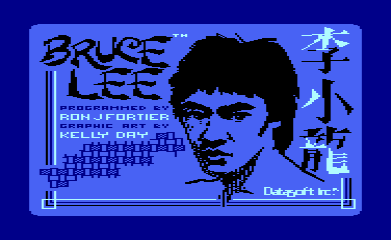 I agree, also the Datasoft logo is more prominent in the dark blue colour. the image suffers by some visual controversy. The original picture had this "sketchy" (not in a bad way" style, using 4 colors. Now the new colors have somehow the wrong brightness. To do a workaround, you could use the "new" colors without changing the brightness level, or make the picture even more sketchy by making the skin color brighter, the letters also. Edited by emkay, Wed Mar 13, 2019 1:37 PM. not really... I bet if he lower the light blue fill intensity one notch the rest of it will blend/pop just fine. Point is this is already light years better than it was. 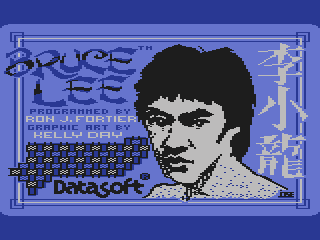 I think that looks good and please notice that I'm using the real and the only, the original DataSoft logo (that if you see on most of the packages and on WikiPedia is in black not in blue ...). Edited by José Pereira, Thu Mar 14, 2019 11:41 AM. the lattice requires the oriental stylized tile lines back. the edges could be somewhere between what it was and how it is filled in now... the curved black lines making the edges and some slightly empty spots on the edges. The picture is low on colors, but the image fits well. Changing colors means to be very careful, if you don't want to destroy the art. The C64 hasn't the colors to show all needed parts with the right color. 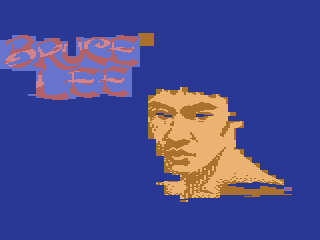 Poor Brucie doesn't suffer by body acne, it's just some transition pixels on the borders, btw. Yes that C64 hasn't the A8 palette but all those colours are too too much colour. The picture must be those blues and white/lightest gray than colour what you have to colour that is game's name and his face. Nothing more is needed and the right side chinese letters are better in the white/lightest gray. 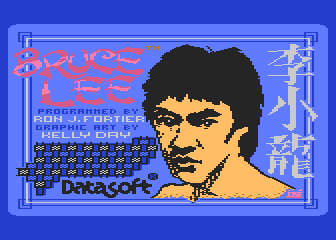 The large seen part is the hair and he had a black hair so this is fine like is also the true original like in black Datasoft logo than you have distinct on sides other colours for lines with the credits on the left and chinese letters on the right. The title and the names blue and white/dark gray transition makes them distinct. Because of this two it doesn't make sense like was on original that the 3 contours lines be 3colours and have one as black. It looks much better they be two in blue and the middle one in white/light gray. P.s.- @Emkay that isn't acne, Bruce was from a time that men only shaved their faces . Edited by José Pereira, Fri Mar 15, 2019 8:22 AM. it also have some other small changes and I'm now sending it to a coder. If he likes it this is what will be . Edited by José Pereira, Fri Mar 15, 2019 10:11 AM. OK. 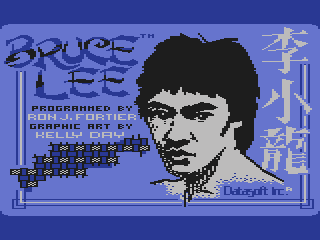 So I'm using other words: The guy in your picture doesn't look like Bruce Lee, except for the stereotype of people viewing at Asians. 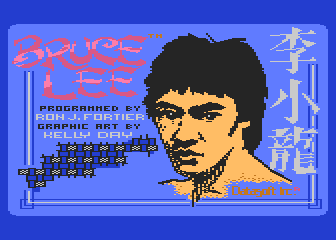 It looks more like some Bruce Lee imitator on Drugs. Edited by emkay, Fri Mar 15, 2019 10:30 AM. Around the time of Lee's death, numerous rumors appeared in the media. Lee's iconic status and untimely demise fed many wild rumors and theories. These included murder involving the Triadsand a supposed curse on him and his family. While there was initial speculation that cannabis found in Lee's stomach may have contributed to his death, Teare refuted this, stating that it would "be both 'irresponsible and irrational' to say that [cannabis] might have triggered either the events of Bruce's collapse on May 10 or his death on July 20". Dr. R. R. Lycette, the clinical pathologist at Queen Elizabeth Hospital, reported at the coroner hearing that the death could not have been caused by cannabis. 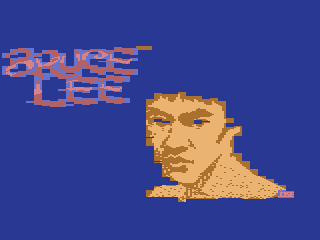 At the 1975 San Diego Comic-Con convention, Bruce Lee's friend Chuck Norrisattributed his death to a reaction between the muscle-relaxant medication he had been taking since 1968 for a ruptured disc in his back, and an "antibiotic" he was given for his headache on the night of his death. In a 2017 episode of the Reelz TV series Autopsy, forensic pathologist Dr. Michael Hunter theorized that Lee died of adrenal crisis brought on by the overuse of cortisone, which Lee had been taking since injuring his back in a 1970 weight lifting mishap.